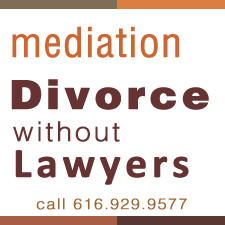 People call to set mediation, and ask what to do to prepare for it. When we make an appointment, I will send you the intake forms. Fill them in and return them. Sometimes it means you double check account numbers, real estate values, pay stubs, insurance quotes. But doing that ahead of time lets me get to know you, lets me start the paperwork for you (at no charge) and means we get a quicker start when we meet. You will see places on the form asking for information about items that are settled, but don’t let that fool you. The court still want the data for your case, so fill it in. I can easily work with too much information. I have a sticking point, on disclosure. I use the forms to make sure you and your spouse both know all the assets and all the obligations. Good agreements can only be made when both of you have all the facts.